Reddit’s executive team announced the news just one day after the San Francisco company closed a major $50 million investment from a handful of influential tech industry entrepreneurs. Company CEO Yishan Wong took to Twitter to confirm the new employee policy, which he said was unrelated to the new investment. “Intention is to get whole team under one roof for optimal teamwork. Our goal is to retain 100 percent of the team,” he said. The whispers in the Valley these days are that Venture Capitalist money is drying up due to obvious “immature, unprofessional, egotistical culture-based, or simply unthinking” free-wheeling spending by the recipients of funding from the once over-the-top-generous and typically “quiet” investors. With housing in San Francisco in a price crunch and actual shortage, this looks like a soft way to trim the workforce by at least 20%, and maybe as high as 30%. Trimming the workforce to increase productivity has always been one of the first things investors look at to assure optimal ROI, and this ‘residency ultimatum’ might simply be a result of one such silent condition for the newest Reddit funding. This new influx of cash for Reddit is something that is suddenly becoming rarer these days throughout the Silicon Valley ecosystem, as when last interviewed, four of the largest seven VC players each stated that they were cutting back significantly on partnering with new firms and would be reinvesting less than 20% than levels the year before with even the most promising existing partners. These same VC’s are now making it public that they are not just tightening the purse strings, but that they are including conservative conditions for even modest investments, such as productivity thresholds and substantiated development. Whatever the real reason, this ultimatum has caught the attention of other iconic firms that may look to enact some similar type of policy or employee compact changes of their own in order to reign-in unproductive or under-performing “largesse” and pin it to some accountability metric that makes sense, now that the reality of changing finances has been exposed. The City of San Francisco too, has taken note, and despite the prospect of widening the tax base and infusing more vitality to the city landscape, the pressure it puts on the already outrageous housing crunch will be formidable to say the least. And, the City is not planning to offer any financial incentives, moving assistance, or social benefits. That said, the policy is completely legal, according to Golden Gate University associate law professor Hina Shah. Because California is an at-will employment state, companies can subject their employees to unilateral decisions based on their business needs, Shah says. 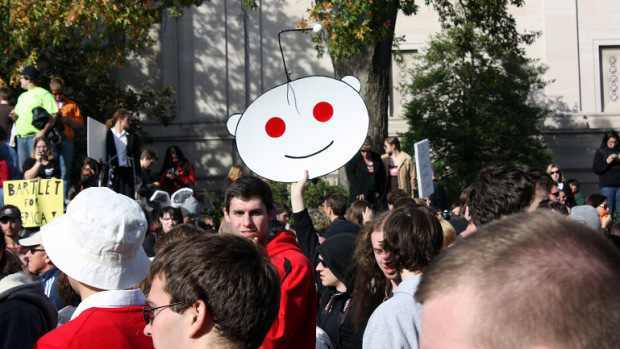 So long as Reddit doesn’t violate a union or employment contract, or invoke its new policy in retaliatory and discriminatory ways, the employees have no legal ground to object. In fact, Shah added, the company didn’t even have to provide relocation packages. San Francisco, as we know, is incredibly Liberal and progressive, but even this new twist to employment is being received as rather “out there” and very dictatorial coming from Reddit which has been known to be one of the most forward-thinking companies in the City. Still, there are some hard choices to be made by Reddit “remote” employees. The company is offering a relocation package for employees who decide to make the move before the end of the year. Those who choose against it will get a three month severance package.